Expansion teams Auckland and Geelong-Korea will start the Australian Baseball League season on the road, while defending champion Brisbane Bandits open their campaign at home to the Adelaide Bite. Baseball Australia today confirmed its 2018/2019 ABL schedule, with four highly-anticipated inter-divisional matchups headlining Opening Weekend as the sport enters a new era with an eight-team league. Auckland travel west to take on the Perth Heat in its historic first series, while Geelong-Korea will go head-to-head with the Sydney Blue Sox in Sydney, before both play at home for the first time in round two. The Bandits will start their quest for an unprecedented fourth-straight title against the Bite at Wild Moose Stadium on Opening Weekend, while Canberra Cavalry begin their quest to go one better than last season's second-place finish with an away series against the Melbourne Aces. The 160-game regular season will start on November 15 and run for 10 weeks. Baseball Australia chief executive officer Cam Vale said the addition of expansion teams Auckland and Geelong-Korea set the stage for season nine of the ABL to be the most exciting yet. "This is truly a watershed year for Australian baseball," he said. "The confirmation of the regular season schedule is a key moment in the league's ever-growing landscape, and we're counting down the days until the most historic season of the ABL yet. "The inclusion of Geelong-Korea and Auckland solidifies the ABL as a brand with significant international appeal." Each team will play two four-game series (one home, one away) against each divisional rival and one four-game series against each team in the opposing division. Teams will play a total of 24 games (12 at home, 12 away) against divisional rivals and 16 games (eight at home and eight away) against inter-divisional opponents. Inter-divisional series will take place in rounds 1, 5, 6, and 10. There will be 160 total games, with opening day falling on Thursday 15 November. An ABL game will be played abroad for the first time in round two when Auckland hosts Brisbane. As reported yesterday the expansion team will play three of its five home series in Auckland with its remaining home series played in Australia at to-be-confirmed venues. Vale said it was likely the two series would be taken to regional Australia. Geelong will also host ABL action for the first time when newcomers Geelong-Korea take on Perth in round two. Canberra fans will have to wait until round four to see their team at home to allow for completion of redevelopment at The Fort. But it will be worth the wait with the Cavalry's home opener a massive ABL Championship Series rematch against North-East Division rivals Brisbane. Canberra will then host three-straight series over the high-drawing Christmas and New Year period as it plays 16 of its final 20 games at The Fort. 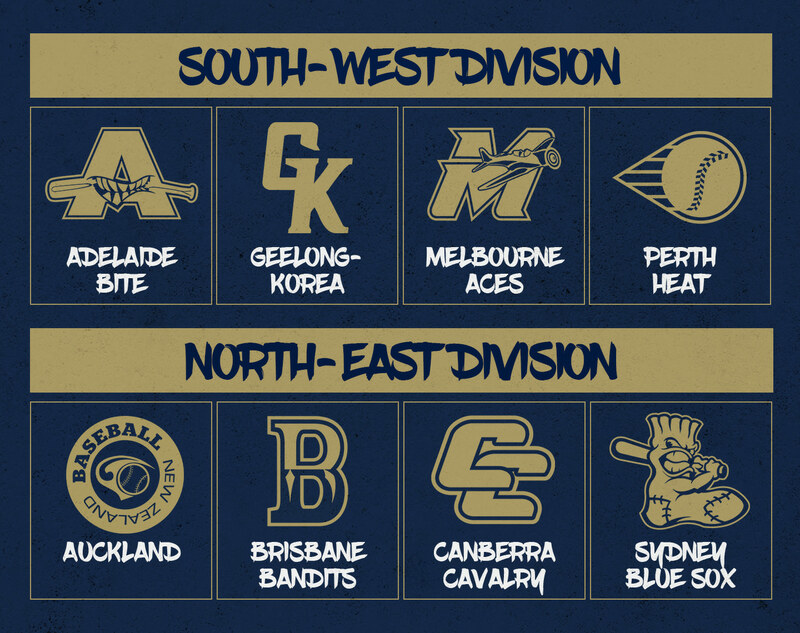 The 2018/2019 season will see the introduction of divisions for the first time in ABL history. Adelaide, Geelong-Korea, Melbourne and Perth will compete in the South-West Division, while Auckland, Brisbane, Canberra and Sydney are in the North-East Division. Vale said the introduction of divisions would grow existing rivalries and build new ones. The All-Star Game has been dropped from the 2018/2019 schedule due to Team Australia's commitments ahead of the 2020 Olympics, allowing the playoffs to be brought forward one week. "This season's schedule has been designed to maximise player availability in the playoffs," Vale said. "We've brought forward the playoffs by one week, which sees the first week of post-season action taking place over the Australia Day long weekend." ABLTV.com will be the go-to digital destination for live and on-demand games with a detailed broadcast schedule to be released soon. The Baseball Live App is the best place to keep up-to-date with all your ABL news, scores, standings, live broadcasts and much more heading into the 2018/19 season. The 2018/2019 ABL season marks the first under a privatised structure, with six of the eight teams already operating under new licence holders. Perth will make a major announcement regarding its ownership next week. An announcement on Melbourne's ownership will follow shortly after.